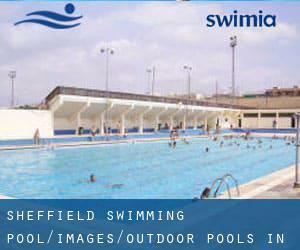 Most of the Outdoor Pools in Sheffield supply both open lanes for independent swimming and also guided activities like water aerobics or aquabike. There are often discounts readily available to senior citizen and little youngsters. Find out by contacting your nearest pool in Sheffield. Regular users told us probably the most important thing of swimming is to control your breathing. To get this, our head should be aligned with our spine all the time. Swimming is often a sport for all ages. It assists young folks to tone their muscles and grow healthful and strong. Please check the nearest Swimming Pools or Contact us to ADD IT. It's free! 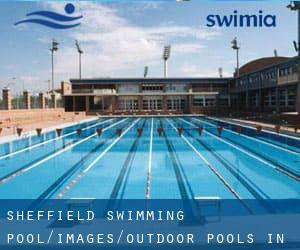 For Sheffield and its vicinity, we're showing you all of the registered Outdoor Pools in Sheffield, some of them have no GPS coordinates and you are not getting them at the map. High St. , Hampton , London - West , England , UNITED KINGDOM (Postal Code: TW12 2ST). This sports centre offers 36 meters x 14 meters, 6 lanes, Outdoors. Contact information for this Swimming Pool including phone number and email address are number. East Acton Lane , Acton , London - West , England , UNITED KINGDOM (Postal Code: W 3 7HB). This sports centre offers 25 meters x 11 meters, 6 lanes, Outdoors. Contact details for this Swimming Pool just like phone number and e-mail address are number. 1 Thames Valley Park Drive , Thames Valley Business Park , Reading , England , UNITED KINGDOM (Postal Code: RG 6 1AD). Swimmers like you reported 25 meters x 10 meters, Indoor/Outdoor. Unfortunately we do not have the email address of this Pool, but we can give you the phone number. Oakfield Place , Clifton , Bristol , England , UNITED KINGDOM (Postal Code: BS 8 2BJ). This sports centre offers 25 yards, Outdoors. Contact information for this Swimming Pool such as phone number and email address are number. London Fields Westside , Hackney , London - East , England , UNITED KINGDOM (Postal Code: E 8 3EU). This sports centre offers Olympic size x 17 meters, 8 lanes, 1 meters - 2 meters depth, 1 meters - 2 meters depth, Outdoors. For this Pool, only phone number is number here. Drayton High Road , Hellesdon , Norwich , England , UNITED KINGDOM (Postal Code: NR6 5DU). Swimmers like you have reported 25 meters x 18 meters, 3 lanes, Indoors. Also, you will find 20 meters x 8 meters, Outdoors. Just in case you want to make contact with this Swimming Pool before dropping by, we only know the phone number. 161 Banks Rd , Sandbanks , Poole , England , UNITED KINGDOM (Postal Code: BH13 7QL). Among all the activities supplied by the centre, for anyone who is interested in swimming you will delight in 17.5 meters x 6.5 meters, 1.1 meters - 2.2 meters depth, 1.1 meters - 2.2 meters depth, Outdoors. Just in case you want to contact this Swimming Pool before dropping by, we only know the phone number.